Former Gitmo detainee Abdallah Salih al-Ajmi recently exploded in Iraq. 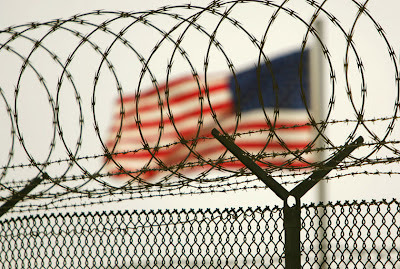 Abdallah Salih al-Ajmi was released from Gitmo in November 2005. The WaPo reported that Ajmi left a lengthy martyrdom audio recording before his death. Ajmi implored people to take part in suicide bombings and to attack Americans. He blew himself up in Mosul in the summer of 2008 and was able to take a few Iraqis with him. My Comment: These are the number that are publicized .... I can bet that the real number is probably higher. I am also curious to know how many innocents have been killed because of the men who have been released from Guantanamo. My gut tells me that the number is in the hundreds.